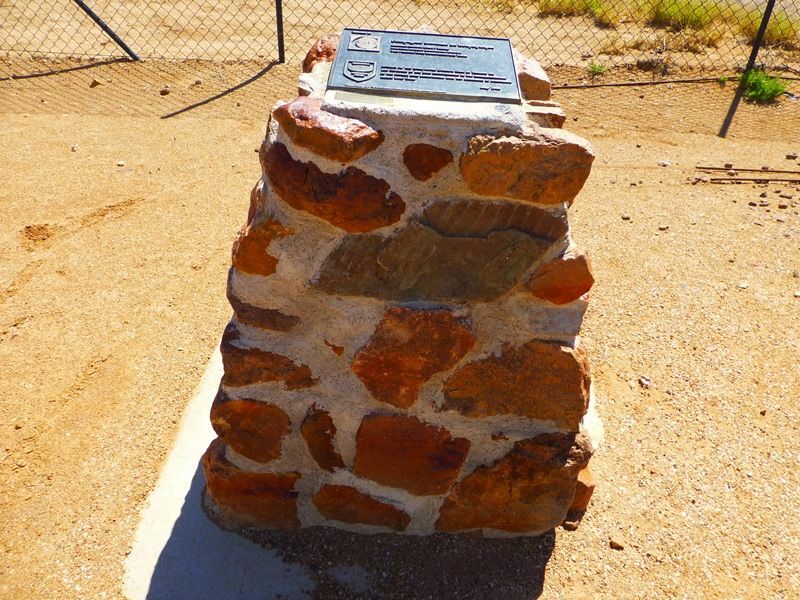 A cairn commemorates the 35th anniversary of the French Line in Simpson Desert in 1964 -1964. The plaque also commemorates the 35th anniversary of the Landrover Owners Club of Victoria which is listed as a separate entry. In 1962 French Petroleum committed to spend £4m (worth about $AUD40m today) over five years of oil exploration in the Great Artesian Basin to earn a 50% stake in the Simpson Desert leases held by Delhi/SANTOS. French Petroleum chose as prime contractor its compatriate company, Brisbane-based Compagnie Generale de Geophysique (CGG). A thorough geophysical survey of the southern Simpson was ordered. Preparatory work began in the Pedirka district along the Hamilton River before the attention of the French oilmen turned to the main game - South Australia's formidable Simpson Desert. First a road had to be built to facilitate the movement of the oil search crew as they advanced across the dunes. CGG named their traverse following convention, as Line B. Today their handiwork is known universally as the French Line.